Along with our selection to test Disney’s MagicBands on our recent trip came the ability to select and reserve FastPass+ attraction/show times in advance of our trip. We had both magical as well as frustrating experiences with choosing FastPass+ times. FastPass+ is Disney’s next generation of the FastPass system introduced in late 1999. FastPass+ allows you to make “reservations” for rides in advance before you ever arrive at a park using the web or a mobile app, as well as at kiosks at the park itself. FastPass+ also includes more attractions than the original FastPass system (which is still in place), as well as things like entertainment, shows, and even some eateries. And, my favorite part, you can modify your FastPass+ on the fly and select new FastPass+ (within the same park) for unused reservations. Let me give you an example of how FastPass+ performed magically for us. Before we arrived at Walt Disney World, I made three FastPass+ reservations for our day at the Magic Kingdom on my computer — Tomorrowland Speedway, Under the Sea, Belle’s Enchanted Tales. When we arrived at the Magic Kingdom, a little later than expected), we found that we’d missed the Tomorrowland Speedway FastPass+ return time (and the return times are strictly enforced). So I pulled out my iPhone and changed Under the Sea to Princess Fairytale Hall just 10 minutes from then. The best part was that we were standing in front of the Princess Fairytale Hall when I did this, and the wait time was 90 minutes. FastPass+ really shined at that moment and we were totally sold! If you are eligible to make FastPass+ reservations, you can get online or on the mobile app up to 60 days in advance to make your choices … or you can just wait until you arrive at a park and visit a kiosk or speak to a Cast Member who can help. Let’s go through the process of making (and changing) FastPass+ reservations. 2. Click the Make FastPass+ Selections icon. 3. Choose the date, then the location. Note that you can only make FastPass+ reservations within one park per day at the time of writing. 5. Browse the offered reservation times — you’re usually given 3-4 choices. Pick the one you want and click Next. Voila! You have FastPass+ reservations. The process using the mobile app is very similar. 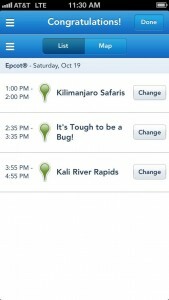 First download the My Disney Experience in the App store on the iPhone/iPod, or in the Google Play store or Amazon Apps. Then click on FastPass+ > Select a Day, and continue steps 3-5 above. Kiosks (and Cast Members with iPads) are essentially just connecting to the My Disney Experience web site online, so they will look very familiar. Normally you can make only three FastPass+ reservations per day, but I’ve heard that you can squeeze a fourth in if two of your FastPass+ reservations are for non-rides (shows or eateries). Your mileage may vary. 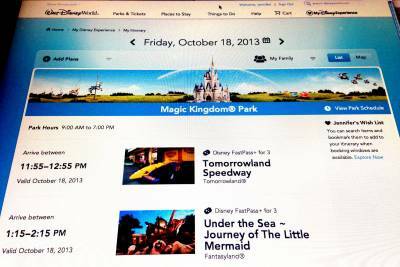 How do I change a FastPass+ Reservation? Being able to change a reservation is the best part of FastPass+, in my humble opinion. I still remember the feeling of smug elation I had when I changed all our FastPass+ from Epcot to Animal Kingdom while I was drinking my morning coffee at the Wilderness Lodge. It took just a few taps on my iPhone. To change a FastPass+ reservation online, go to the specific date in your Plans, click on the reservation, then click Change, then click Change This Experience or Time. Note that you cannot change both the location and the time at the same time — you need to change first one, then the other. Also note that you cannot make plans in another park once you’ve set or used a FastPass+ in another park. But you can definitely change unused FastPass+ reservations — I did this often on my trip because my plans and interests changed. So where can I use FastPass+? This is another of the perks of FastPass+ — it’s available at a LOT more places than the original FASTPASS. You’ll see all the options when you go to make your FastPass+ selections, and I believe there something like 60 places (and counting!) that you can use FastPass+. I was even able to use it for the Be Our Guest counter-service restaurant, but that is a topic for another blog post. The 2014 edition of PassPorter’s Walt Disney World also notes all the attractions and shows that use FastPass+. My favorite spot so far is the Haunted Mansion at Magic Kingdom. Not only did it work beautifully, walking right past the long queue and onto the attraction, but the FastPass+ sensor plays an awesomely creepy sound when you enter! What if I’m traveling with other people? So here’s where the frustration and confusion comes into play when using FastPass+. With the old FASTPASS system, everyone just gets a paper ticket together (or sends one person ahead with the passes) and then returns together. But with FastPass+, everyone needs to be eligible for FastPass+ in order to use it. Even if you’re all eligible, you need to be linked as “family” or “friends” in the My Disney Experience system to make reservations for everyone as a group. Sara and I were traveling together and we tried this, but it wasn’t easy to figure out how to “friend” each other. 1. Login online or on the app, then click Family & Friends. 3. Either enter your friend’s name directly, or invite through a mutual friend (only doable once you’ve added a friend or a family member has added a friend). Once your friend accepts your invitation, and has park admission on the same days as you, you should be able to make reservations for your friend also. Sara and I used this feature of FastPass+ on two days of our trip. Those FastPass+ reservations that we’d made in advance worked fine. The issues came when we tried to change our FastPass+ either in the mobile app or at a kiosk. Depending on when we looked, or who looked, we’d see a different number of party members and we were unable to change the reservations for everyone. When we stopped at a kiosk and scanned our MagicBands, some members of our party showed up as “Unknown Guest” and “Charlotte.” Ultimately, we had to change our reservations separately. So while it worked, the family/friends feature of the system did not perform as expected, and we wasted valuable time trying to figure it out. Update 10/29: Kenny gave us a tip! 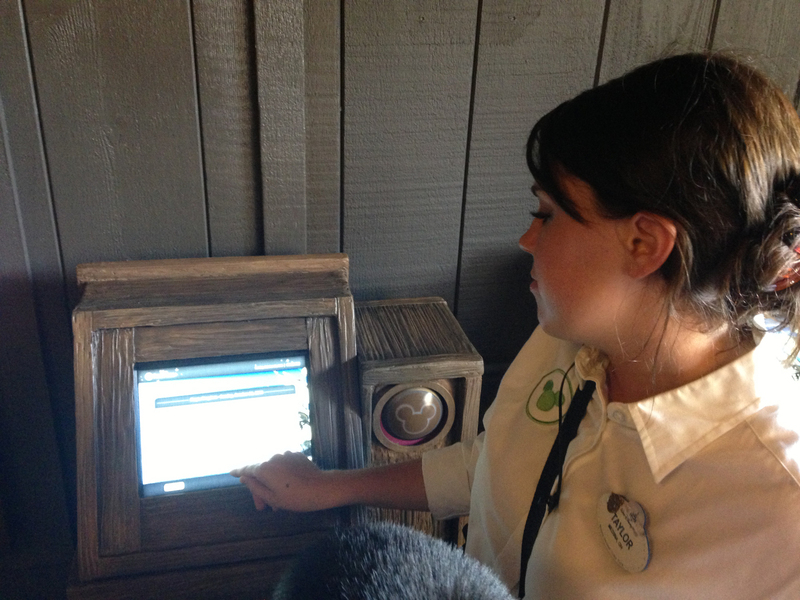 Guest Relations and resort concierge can help make FastPass+ for guests with multiple MDX accounts. So if you have issues like we did, stop at Guest Relations or Resort Concierge for assistance. That said, most of the time I’ll be touring it’ll just be my little family, so I shouldn’t encounter this complexities often. The process of making and changing the FastPass+ was usually very simple and VERY convenient. I don’t usually get more than 1 or maybe 2 FastPasses per day, but the new FastPass+ system encouraged me to use all three slots. Oh, and one more thing you should know — at the time I write this, you can still use regular FastPass (with the paper tickets) when using FastPass+. You’ll need to use whatever pass or card has your park admission at the regular FastPass machines, like usual. So that means you can get regular FastPass paper tickets upon your arrival at a park and still use your FastPass+ reservations. The only things I’d change (other than improving the Family/Friends feature) is to add more slots per day (4 or 5) and add the ability to make FastPass+ at more than one park per day. I like to hop around. All in all, the process of making and changing FastPass+ reservations was simple and convenient! 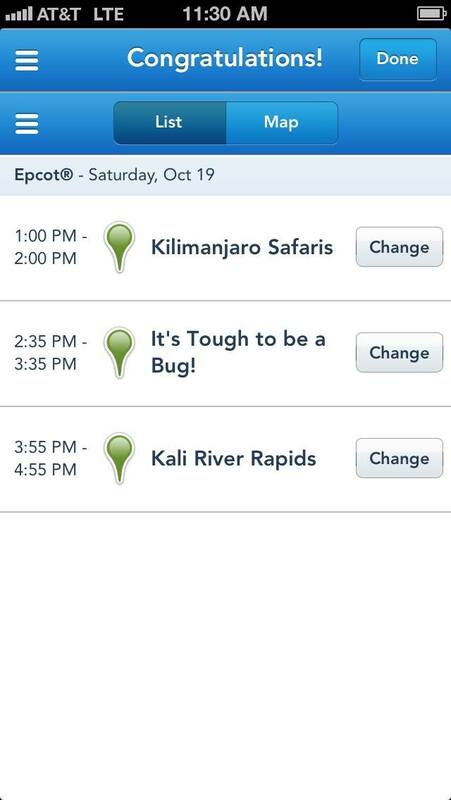 Have you tried FastPass+? Tell me about your experiences! Next I’ll tell you about the actual FastPass+ ride/show/eatery experience, including our lunch at Be Our Guest on FastPass+! Thanks for the info Jennifer. I feel very unprepared to deal with this new option for our next trip, so I appreciate your first hand experience. Additionally, Cast Members with iPads should be able to assist you. We were only able to actually find them near the kiosks in practice, however. Also, the lobbies of the resorts should have kiosks as well.